Neil Small was all in preflop holding [Js][Jd] and was flipping against Jason Adams's [Ad][Kc]. 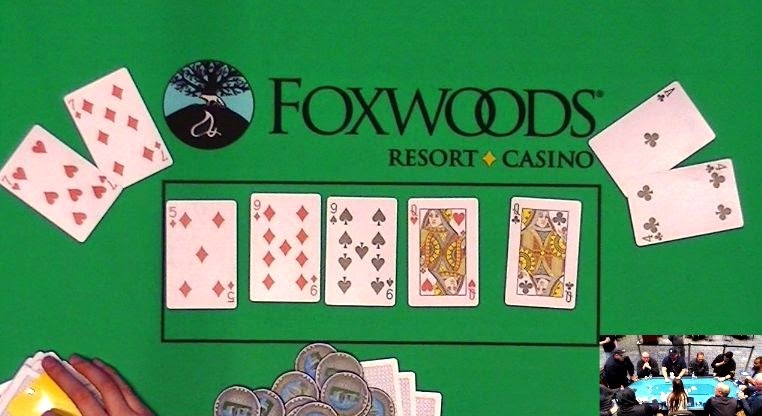 Neil's jacks were in front all the way to the river, but Jason hit an ace to send Neil to the rail in 8th place, good for $1,856. 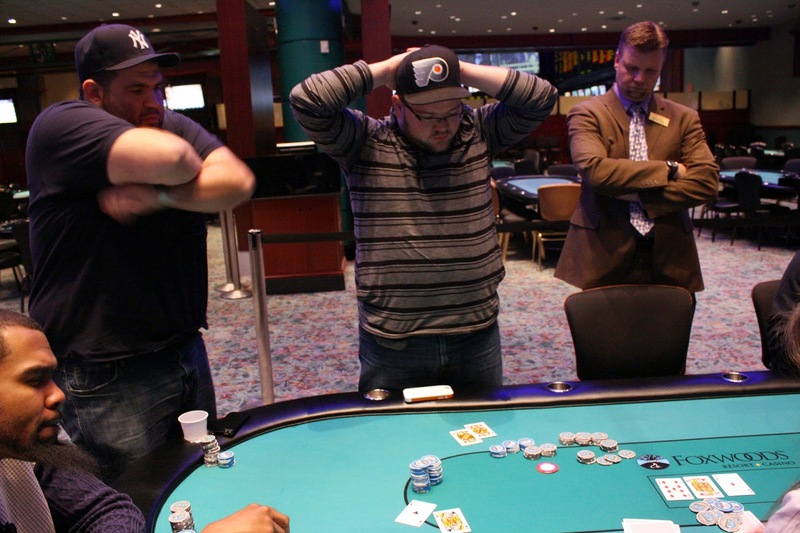 From the button, Erik Torgersen moved all in and was called by Leonard Rinas in the small blind. It was a race as Erik held pocket eights against ace ten. No ace or ten came on board and Erik will double up. On the first hand of the final table, Erik Torgersen raised to 75,000 at 15,000/30,000 blinds. 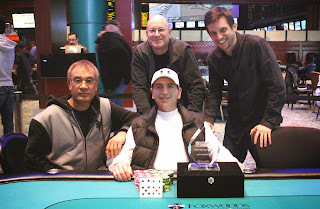 Lou Pito moved all in from the big blind for 415,000 and Erik made the call. 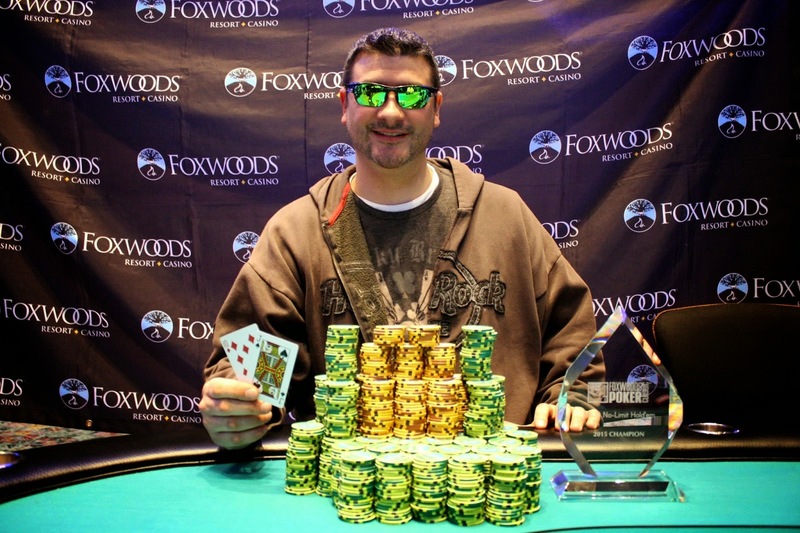 The [5d][9d][9s] flop was safe for Lou, and the [Qh] meant he was only dodging a queen or an ace on the river. Erik yelled, "Queen!" 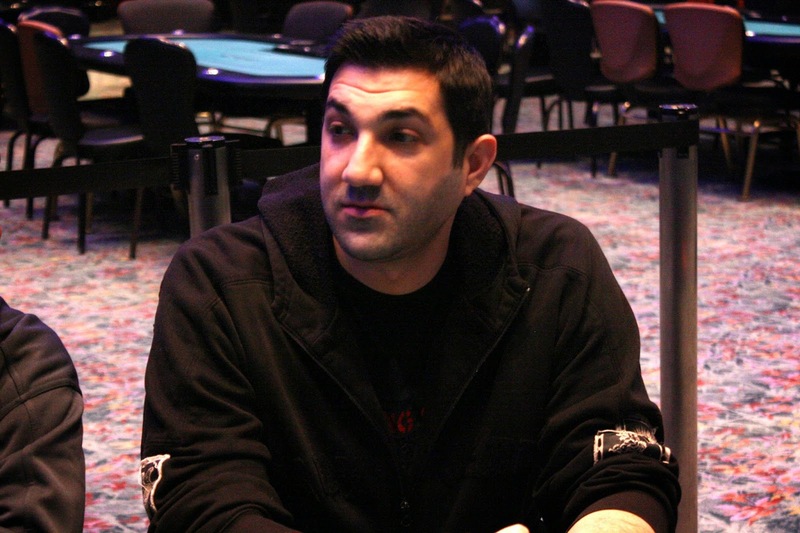 as the dealer dealt the [Qc], counterfitting Lou's pocket pair and eliminating him in 10th place. Lou will earn $1,015 for his efforts today. 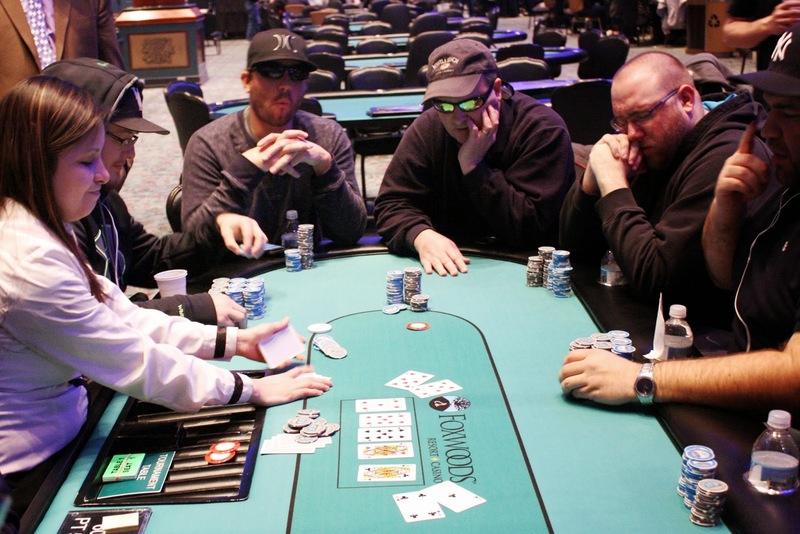 Jason Staalasen was all in under the gun and action folded around to the big blind who called. Jason was in great shape to double up with [Qs][Qh] against the big blind's [Ac][Qc] as another player said he had folded an ace. 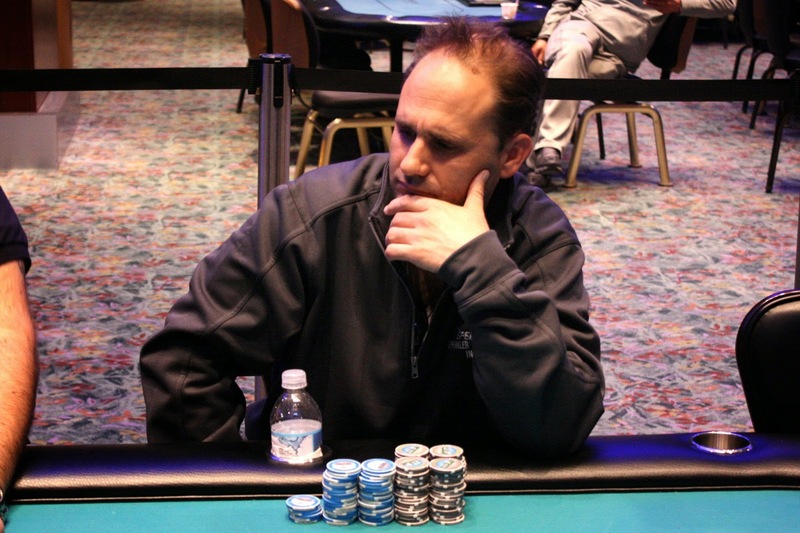 Unfortunately for Jason, the flop fell [9d][Jh][Ad], giving his opponent a pair of aces. 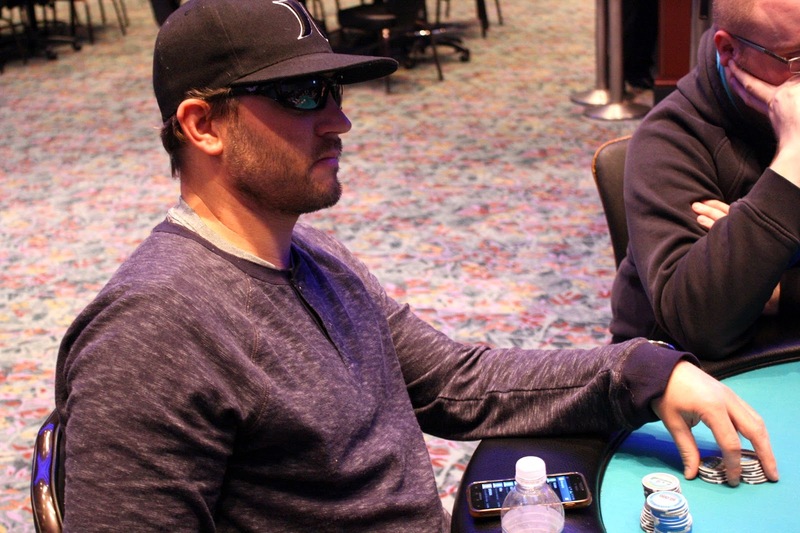 The [2h] turn and [Kd] river were no help for Jason, and he will exit this tournament in 11th place. With Jason's elimination, we are now down to the final 10 players. Chip counts and seating assignments will be posted shortly. 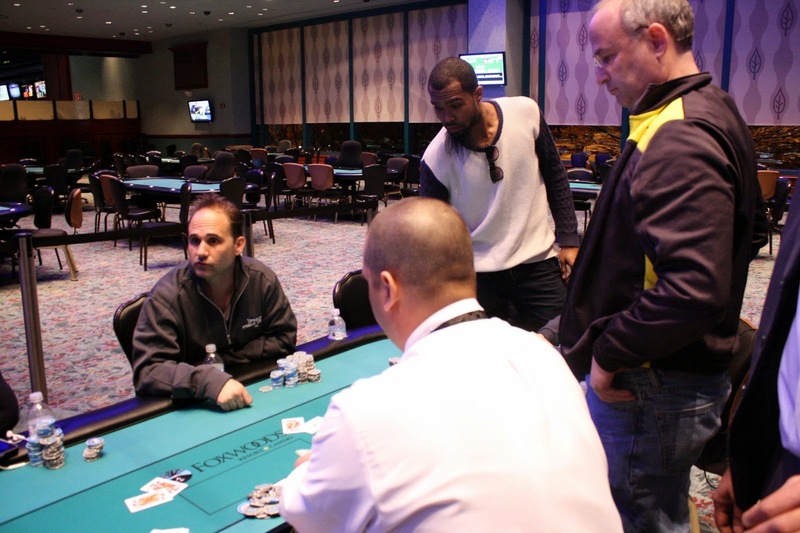 Event #8 $300 NLH Big Stack is now on break, and only 16 players remain in this field. Blinds will be 15,000/30,000 with a 5,000 ante after break. The bubble barely lasted long enough to write a post about being hand-for-hand. 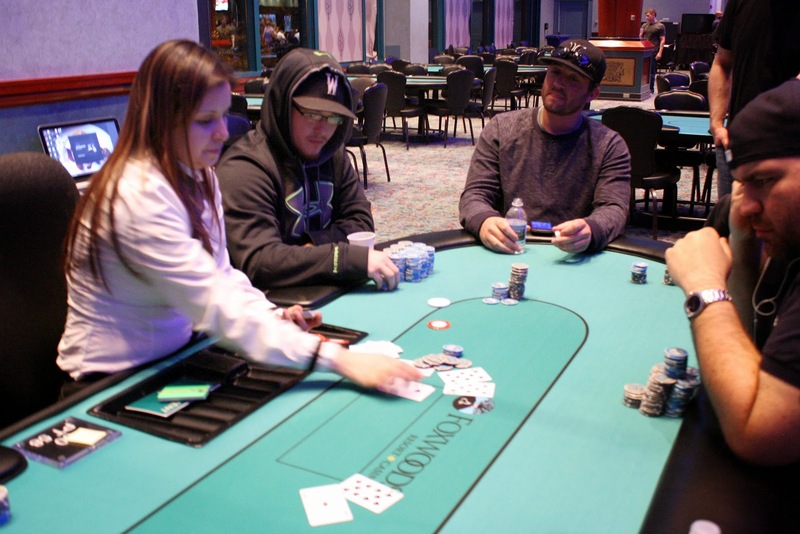 Event #8 $300 NLH Big Stack is now in the money, with the remaining 24 players fighting for the 1st place prize of $14,096. Just 25 players remain in Event #8 $300 NLH Big Stack. Play is now hand-for-hand at the final 3 tables. The next person eliminated will be the bubble boy, while the remaining 24 players will be in the money. Only 45 players remain from a starting field of 230 entrants in Event #8 $300 NO LIMIT HOLD’EM BIG STACK. Those players are now on their 45 minute dinner break. When they return, blinds will be 5,000/10,000 with a 1,000 ante. The top 24 players will make the money. Tune in at 7:15pm EST to watch the rest of the day's play at www.FoxwoodsLive.com. 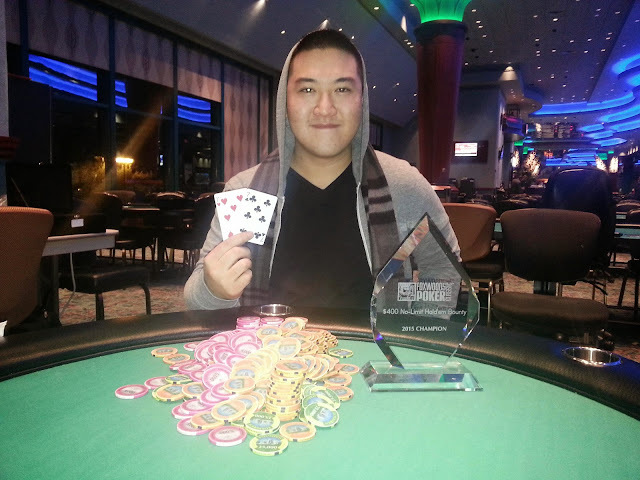 After the elimination of Rory "Hardware" Anderson in 3rd place, Chris Leong and Michael Bagdasarov agreed to a heads up deal:.